B2B Content marketing focuses on creating, publishing and distributing content for a targeted audience online. If inbound marketing is the engine, then content is the fuel. In a previous post, we discussed whether you should recruit internally or hire an inbound agency partner. If you do decide to go it alone it is likely you are still going to need a content writer. In fact, according to Content Marketing Institute’s (CMIs) research, over half (56 per cent) of B2B companies outsource at least part of their content marketing. Implementing inbound is time consuming. 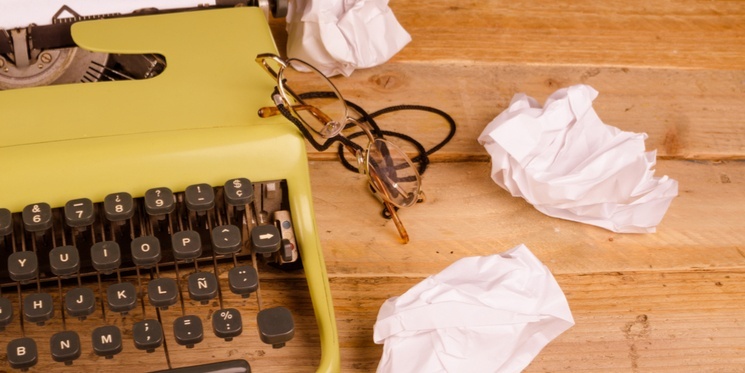 B2B content writing is time consuming. Without someone dedicated to both, you will end up with excellent content but no marketing activity to share it, or excellent marketing activity but with the same tired, sparse content offers. In this post, we weigh up the pros and cons of hiring a content writer versus outsourcing content creation. If your products or services are highly technical or complex, having an in-house writer with an appropriate industry qualification could be an advantage. They will be able to understand the technical aspects with ease, and write blogs, eBook, microcopy etc. around topics that are key to your buyer personas and that address their pain points. Assuming your recruitment process is sound, an in-house content writer will be loyal to your company, and to your brand. While there will be an initial learning curve, over time they will develop deep industry knowledge which will be a valuable asset to your business. If your business attends trade shows, exhibitions or any other significant events, having an extra pair of hands at crunch times of the year could be an advantage. Your content writer will likely relish the opportunity to get away from their keyboard and meet with prospects and customers; and with their in-depth product knowledge, they would be an asset. You have complete control over their workload and priorities, and complete transparency of activity. You can give and receive instant feedback on their work, move deadlines and change the direction of projects without incurring extra fees. When you recruit, you not only have to consider a salary, and a good content writer can demand a premium salary, but also other company benefits like holiday pay, pension, health insurance etc. If you weigh up the cost of recruiting one writer versus hiring an entire inbound agency on a retainer you may find it is considerably more expensive to recruit. There is likely to be a learning curve with any new recruit while they are familiarising with your products, your style and your brand. It could be weeks, or even months, before they are able to produce content for your business without supervision or support. Do you have someone in your organisation who has the right skill set to train a content writer, or who knows what good content looks like? There's more to producing content than just writing! To truly excel at inbound marketing, your content writer needs to do more than just produce copy. They need to be masters of optimisation and keyword research. They need to be able to understand your buyer personas inside-out, to walk in their shoes and write in a language they understand. They also need to have excellent organisational skills. be able to take ownership of your content strategy, plan a blog calendar months in advance, write your website content and microcopy, as well as longer form copy such as eBooks or pillar pages. This may sound obvious. But, there is only so much one person can achieve. And that person will need to take holidays, and time off due to illness etc. You risk leaving yourself exposed if you do not have a plan to compensate for this lost time. Also, if your writer leaves the business you are back to square one, and have to go through the recruitment and induction process all over again. Meanwhile, your content marketing plan is being neglected. The Content Marketing Institute reported that 70 percent of B2B marketers planned to increase their content production in 2017. So cutting through online clutter with well-written, authentic content is more important than ever. By outsourcing to an inbound agency partner with a solid understanding of SEO, you can also guarantee good quality content that ranks on Google. A great content writer can take your industry knowledge and craft it into a flawless blog post, rich in keywords and optimised for search. They know the right questions to ask and will dig deep into a technical subject, always with your buyer personas in mind. If you hire the services of an inbound agency, you are likely to have access to more than one content writer. Not only does this mean you can create content faster but also there is no downtime due to holidays or illness. Outsourcing to an agency, or even just to a freelance content writer is cheaper overall. You do not have the initial recruitment costs, or a salary and benefits to pay. Content is produced in line with your monthly agency retainer, or on an hourly/ fixed rate by a freelancer. You only pay for what you need. As long as you do not become a bottleneck and stop your agency moving forward on projects, you get value for money. As with recruitment, finding the right fit is important. As content marketing has grown in popularity, so has the number of agencies offering it as a service. Like many things in life - you get what you pay for, so don’t be swayed by the cheapest fee. How do you know they will be able to deliver? Ask for references or testimonials and examples of previous work. If your industry is niche or specialist, then look for an agency that has experience in your sector. Freelance writers usually work remotely, so you are unlikely to ever meet them. They may also suddenly disappear on you - get a better offer of work, or take a holiday, for example, and you have no control to stop them. With an agency you get collective knowledge and experience. Their writers will plan a body of work around a content schedule for the month, a quarter or even a year. A freelancer usually works piecemeal and rarely thinks beyond their next blog post assignment. You will still need to spend time researching ideas, keywords, writing briefs and proofing their work. While a good agency or freelancer should make you feel like their number one priority, you know that they have other clients. You have no control over their workload and may not be able to get a response to a question or email as quick as you would like. If you change the direction of a project mid way, you will still need to pay for the work that has been done so far. For example: Say you employ a freelancer to write an eBook and when you receive first draft you decide it might be better as a video script, you'll still have to pay for their time. If your internal systems rely on getting feedback or sign off from elsewhere in your organisation, or if sign off for your agency's content writing is slow, you'll still be paying a retainer to them while you're waiting. Which ever route you choose, and before you can even consider content marketing, you're going to need an inbound marketing strategy. Download our eBook to learn more. Gemma is an Inbound Marketing Consultant at Equinet specialising in the manufacturing sector. She brings over 15 years of experience in sales and marketing from large multinationals and start-up businesses. Her passion is for creating unique and memorable campaigns to engage and delight.